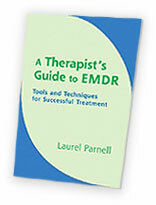 EMDR for Trauma Bundle - Laurel Parnell, Ph.D.
Dr. Parnell offers instructional videos of selected EMDR demonstrations. 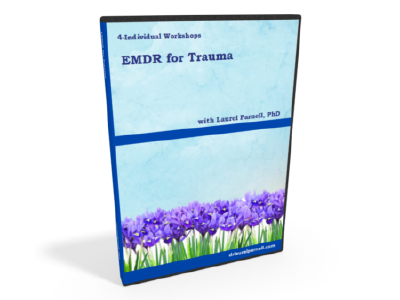 In these ground-breaking videos, she teaches EMDR steps in a variety of situations. 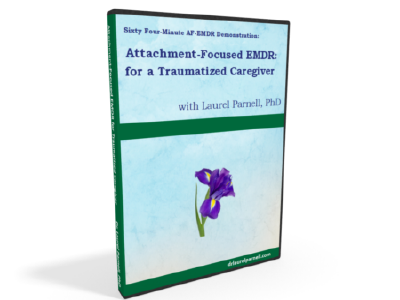 This video demonstrates an EMDR session with a woman who is distressed and emotionally overwhelmed by the serious chronic illness of a close family member for whom she is responsible. Her sister, a quadriplegic with progressive Multiple Sclerosis, has had a series of medical crises, which have required difficult decisions to be made. The client is overwhelmed with feelings of grief, anxiety, fear and terror as she carries the responsibility for her sister’s care. After listening to some of the background to the presenting problem, we tap in resources and work to develop a target from her fears. We find an incident from the recent past that has a great deal of emotional charge and begin there. During the EMDR processing she is able to work through many feelings and comes to a place of peace with regards to the current situation. Her SUDS goes down and she installs several positive cognitions. 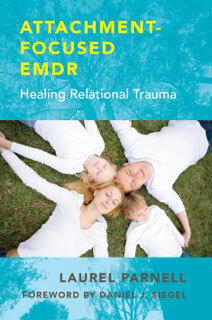 This session shows that clients can benefit from EMDR on chronic, ongoing problems and experience relief from troubling symptoms. 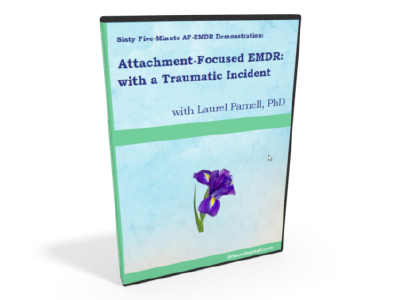 In this video I demonstrate how to use EMDR with a traumatic incident using the standard EMDR protocol. In this session the client wants to work on a horseback riding incident that has left her shaken. We begin by installing resources and then target the incident. 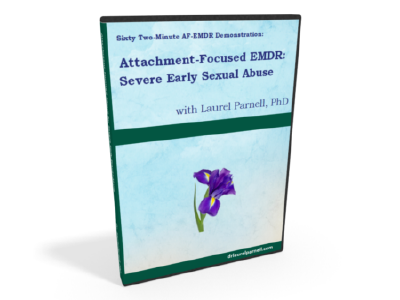 This video demonstrates Attachment-focused EMDR™: integrating an attachment orientation into the healing of early childhood trauma. Beginning with the tapping in of resources, we used the bridging technique, bridging from the client’s life-long belief “I am not safe in the world” to find the target. The video shows how we worked with abreactions and blocked processing. It demonstrates how we repaired the trauma the client experienced at birth through an empathically attuned therapeutic relationship and the use of resource, imagination and Socratic interweaves. In this video the client presents with a history of severe early sexual abuse from her grandfather who was someone she loved. The client reported that the sexual abuse memories had been disassociated for 35 years and came back with the birth of her daughter. It was very important to this client that i be present, attuned and see her strengths as well as the harm she experienced as a result of this abuse. We worked together collaboratively almost like a dance. The work was intense, creative, painful and at times, humorous. Throughout this session, an attachment-repair orientation is used: the therapeutic relationship is key to creating safety, adding in reparative neuronets, creating corrective emotional experience, providing mirroring and validation missing in the client. During the session, we used many interweaves. We used interweaves to link her adult self with her child self, to bring resources to the abuse scene, to do things she couldn’t do as a child with imagination interweaves and we used Socratic interweaves to address erroneous beliefs, as well as to help move old trauma out of her body. We ended the session by installing a positive cognition and brought in resources. DVD orders within the U.S.
DVD orders outside the U.S.